The New York City Wine & Food Festival is on the search for the country’s perfect Bloody Mary recipes, and the bartenders that create them. 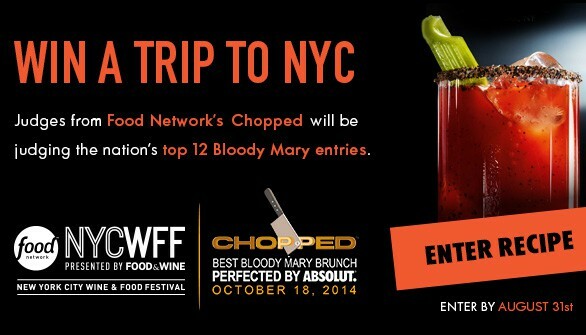 Submit your Bloody Mary recipe for a chance to fly to New York and compete at the CHOPPED! Best Bloody Mary Brunch, perfected by ABSOLUT.